Over the years the team at Traveller's Tales have made a name for themselves turning pop culture icons into happy little Lego folk going on adventures in digital worlds. Everything from Star Wars, The Hobbit, and Marvel Comics have gotten the minifig treatment. Along with those notable franchises, TT has also released 3 Lego Batman games. 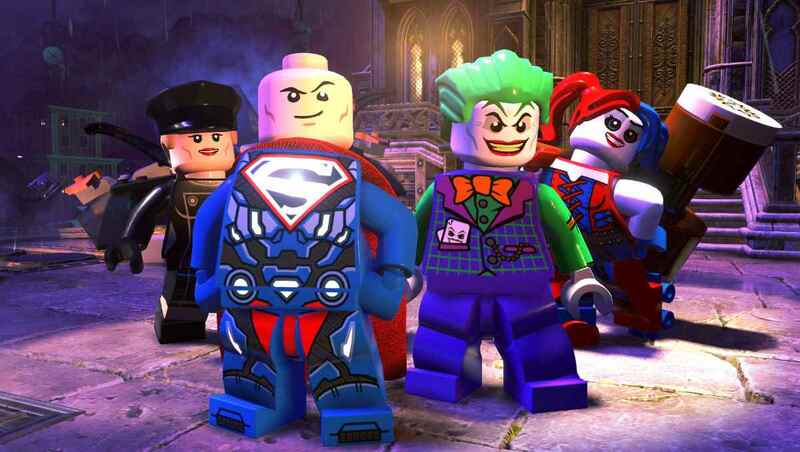 Their latest title, Lego DC Super-Villains takes the series beyond Gotham’s protector with a clever twist. And while it has much of what makes the Lego universe of adventure games so entertaining it also has many of the issues that have shown up in previous titles. 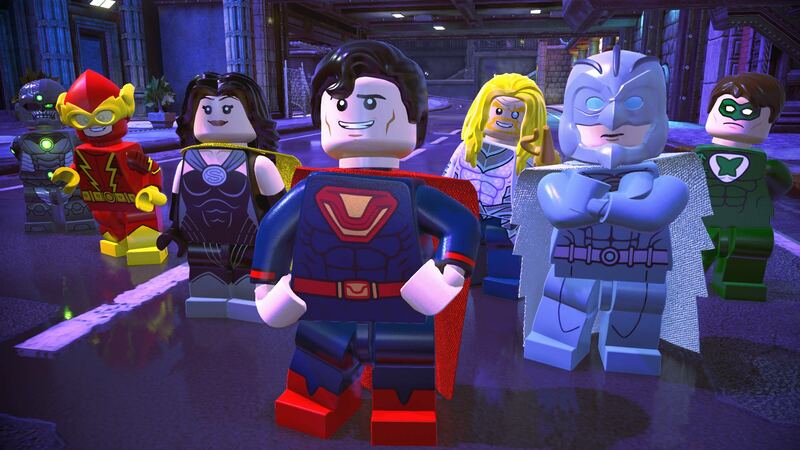 Lego DC Super-Villains’ story borrows heavily from an older Justice League story arc in which evil alternative versions of the JLA from Earth-3 (DC has a lot of multiverse Earths) known as the Crime Syndicate try to take the place of the real heroes we all know and love. While it’s a rather convenient situation for all the super-villains at first, not everything is copacetic between Lex Luthor’s Legion of Doom and Ultraman’s Crime Syndicate. The game starts off by having players make their own custom Lego baddie to add the DC rogues gallery. As you progress through levels your character gets a chance to team up with a veritable who’s who of DC’s meanest and toughest bad guys including The Joker, Harley Quinn, Gorilla Grodd, Reverse Flash, and Sinestro to name just a few. Along with your quest to be the most wicked baddie on the block you’ll explore a ton of iconic locations from the DCU like Gotham City, Metropolis, Gorilla City, and the Green Lantern planet Oa. On top of the various level locations, there are several open-world areas for players to explore filled with side-quests, hidden collectibles, and even some bonus unlockable characters. As is the case with most Lego titles there’s a ton of replayability. Several levels contain areas that can’t be accessed at first pass-through because you don’t have the right characters or powers unlocked just yet. There’s even more content that unlocks after you’ve beaten the game as well. By the time I had gotten through the main storyline I hadn’t even discovered half of the game’s content yet. Most of the main levels in Lego DC Super-Villains revolve around the same core concept of using the powers of the characters assigned to you to solve puzzles in order to get through each area like maybe you use the Joker to spray paint and blow up a wall then use Livewire’s electrical powers to charge up a power supply that blows something up and leaves behind Lego bricks to build a platform that Deadshot can use to pull off a trick-shot that opens a door to the next area. There’s a handful of mini-games thrown in along the way as well including an homage to Sonic The Hedgehog 2’s bonus level that involves Reverse Flash going into the speed force to recover build parts. For the most part, everything functions as it should, but there are some issues here and there that can be more painful than walking on a floor covered in Legos barefoot. The locked camera angles can be a pain to work around at some points. There are several glitchy moments throughout the game mostly during boss battles or the cutscenes that happen during the boss fights. At one point early on there’s a mission where you have to drive a truck around Gotham collecting villains for a heist that I had to quit out of because the truck got stuck in an awkward position. There was another point at which I accidentally drove a car off a bridge into a large body of water and had to find my way back up to the city. In general, the driving mechanics felt extremely jerky and sensitive and it was just easier to use Reverse Flash or a flying villain to get around. 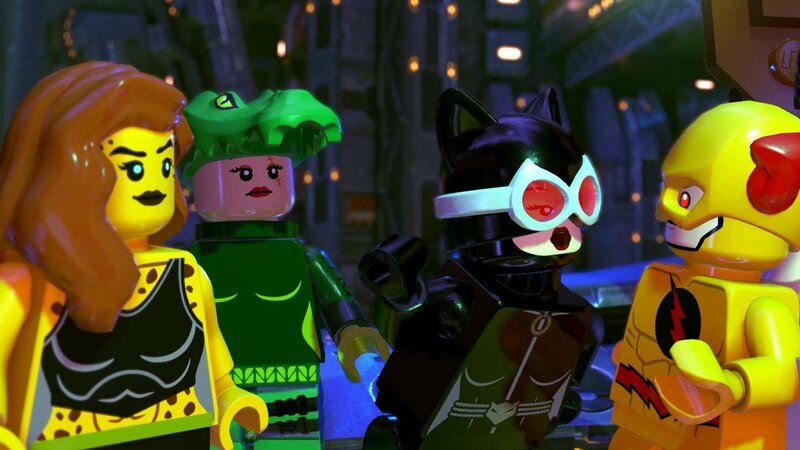 From a cinematic standpoint, Lego DC Super-Villains has some top-notch CGI. The plot is a bit convoluted at points, but it’s also meant to skew towards a younger, broader audience that makes up the Lego gaming fanbase. Cinematic cut sequences are full of jokes and background that keep the mood light and it always impresses me how much characters Lego counterparts end up looking like their source material. The game also benefits greatly from a cavalcade of who’s who voice actors including Mark Hamill reprising his role as the Joker and Tara Strong playing her iconic Harley Quinn role. And that’s just the beginning, several voice actors from the Justice League early 2000s animated series are back as their respective characters including Clancy Brown as Lex Luthor. Of course Nolan North shows up as well because he’s contractually obligated to be in every game ever. 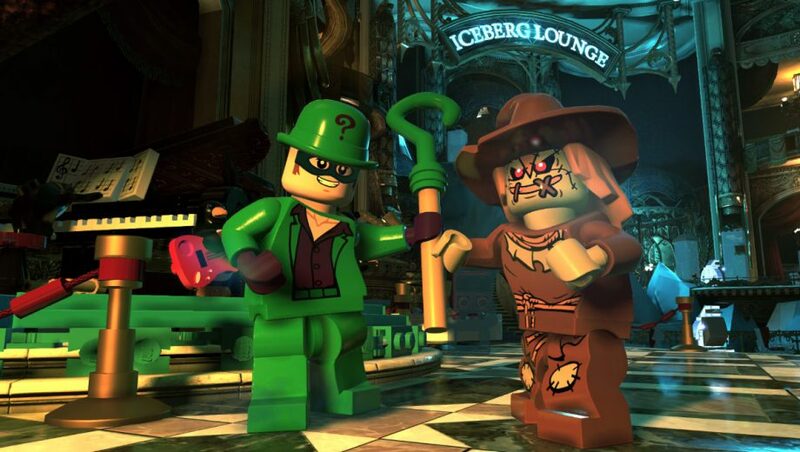 Overall Lego DC Super-Villains is a solid entry into the lexicon of Lego and DC adventure-puzzle games. There’s a ton of family friendly content that will keep kids busy for hours and entertain their adult counterparts as well. Fans of the DCU will enjoy unlocking their favorite characters and putting them through the paces. But, there needs to be more polish on a lot of the more subtle aspects of the overall game. The big picture looks great from a distance, but those flaws become very apparent when you look closer. Still, if you’re looking for something easy to pick up, play and have a good time with, you could do a lot worse than Lego DC Super-Villains. This review is based on a PlayStation 4 download code provided by the publisher. Lego DC Super-Villains is available now in retail and digital storefronts for $59.99. The game has been rated E for Everyone 10+ by the ESRB.